Happy New Year! I hope everyone had a wonderful New Year’s Eve and enjoyed some epic Turkey. I sure did! I thought I’d kick 2018 off with a Russell’s Reserve Single Barrel comparison. After all, Russell’s Reserve Single Barrel is a personal favorite. Well, it just so happens that Lincoln Road Package Store of Hattiesburg, MS (also a personal favorite) recently released two new Russell’s Reserve private selections. I know, I know – I’ve done a Lincoln Road Russell’s Reserve comparison before. What’s up with another? Why not more variety? The short of it is this – Lincoln Road is a top-quality bottle shop with a top-quality proprietor (and it’s my blog so 😛). But I promise I’m not just tooting the same old horn. There’s a little more to it this time around. What if I told you that modern single-barrel Wild Turkey KSBW could be found at barrel proof and available at retail price? You might think I’m referring to a Jewish Whisky Company release. Not this time. What I’m talking about is (at least at this very moment) sitting in plain sight on the shelves of Lincoln Road Package Store. I’m talking about Jamie Farris’ latest Russell’s Reserve Single Barrel private selections, barrels 17-892 and 17-990. Now hold on whiskey nerds – I’m well aware of the fact that Russell’s Reserve Single Barrel releases (both standard and private selects) have a fixed ABV of 55% or 110 proof. But here’s the thing – this time around Jamie Farris and the folks at Lincoln Road selected two barrels that each clocked-in at approximately 55.5% ABV or 111 proof. That’s a mere half percentage point of dilution (an arguably insignificant amount of water) to get to the label’s 110 proof. As for the term “barrel proof,” it turns out there is no legal definition. Federal law does, however, allow for a small percentage of tolerance between the label ABV and the actual spirit ABV. So all things considered, one could call each of these two private selections barrel-proof single-barrel Wild Turkey KSBW and they wouldn’t necessarily be wrong. Now before I ruffle the feathers of any Turkey purists out there, I should clarify that these assertions come from my own observations. To my knowledge, Lincoln Road Package Store has issued nothing claiming these two whiskeys are barrel proof. My information comes first-hand from Jamie Farris, but it’s only information. There are no special stickers or labels accompanying these bottles – only the standard Russell’s Reserve private selection tags disclosing barrel locations. Whew! I think that’s enough technical and legal mumbo jumbo for one post. All said and done – barrel proof or not – all that really matters is how these Russell’s Reserve Single Barrel selections taste. So with that said, let’s pour two glasses and get down to business! Overall: The is an ideal Russell’s Reserve Single Barrel. In fact, if someone were to approach me and ask, “What does Wild Turkey taste like nowadays?” – this would be an excellent bottle to pour. On the flip side, it’s very “on-profile” and lacks characteristics of other more unique selections. It’s not earthy or woody, nor is it a spicebomb. In many ways it reminds me of the last standard retail Russell’s Reserve SiB I reviewed, though this selection seems a touch richer and creamier. 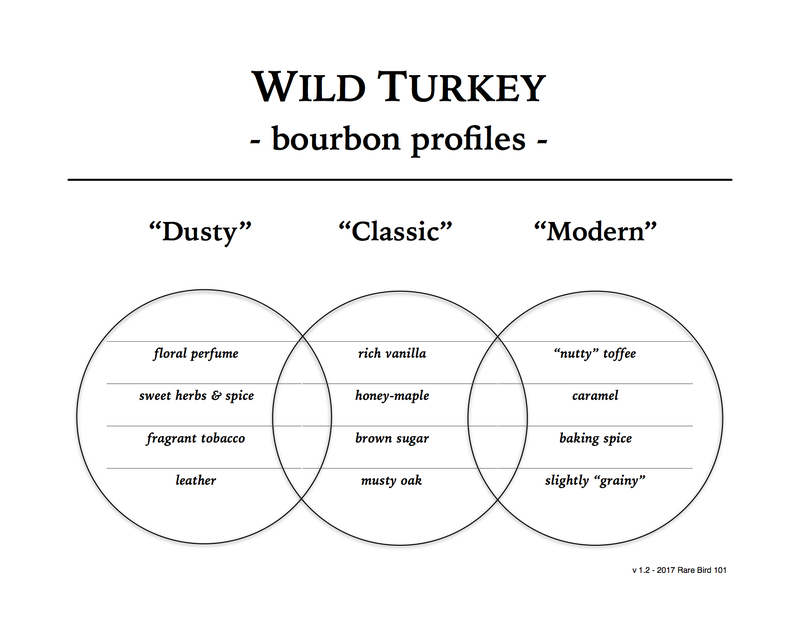 It’s unashamedly true to profile – showcasing the best of both classic and modern Wild Turkey flavor – and gets my recommendation for anyone seeking a well-rounded (practically undiluted) single-barrel bourbon whiskey. Overall: I don’t think I’ve ever had a Russell’s Reserve Single Barrel develop so notably with rest as I have with barrel #17-990. What begins as a more robust version of #17-892, when given additional resting time becomes a baker’s delight. It’s very much the core Russell’s Reserve SiB profile – vanilla, brown sugar, maple, oak, herbal spice, etc. – with specific notes taking the spotlight in different ways. The maple is rich and forward on the nose, the vanilla and brown sugar have a baked/toasted presence, the oak char is balanced, and the spice is sweet and festive (I even found a pinch of mint). Had this barrel suffered significant dilution, I believe these subtle note variations would’ve been lost forever. Thankfully, dilution was minimal. All said and done, we have another fantastic barrel selection by Jamie Farris & Co.